You will earn 60 Wonder Points for purchasing this product. 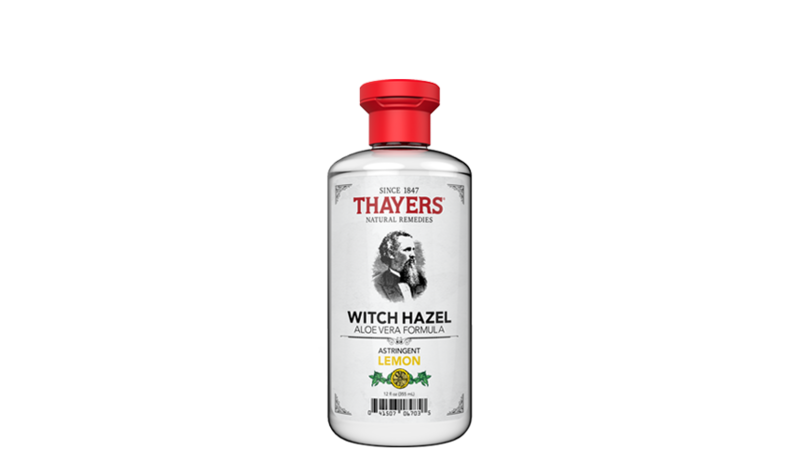 Thayers Witch Hazel with Aloe Vera Formula Astringents and Alcohol-Free Toners are soothing, natural treatments that cleanse, heal and preserve your skin. * Made of extract from the Witch Hazel shrub (Hamamelis Virginiana) and a blend of other time-tested ingredients, these natural elixirs containing important tannins have been a fixture in medicine cabinets for generations. Once you use them, you’ll know why. Use as toner day and night after cleansing. Use as hydrating mask by soak compressed mask into it. Purified Water, SD Alcohol 40-B (Natural Grain) 10%, Aloe Barbadensis Leaf Juice (Certified Organic Filet of Aloe Vera), Hamamelis Virgiana Extract (made from Certified Organic Witch Hazel), Cymbopogon Schoenanthus (Lemongrass) Extract, Citrus Aurantium Dulcis (Orange) Peel Extract, Rubus Fruticosus (Blackberry) Leaf Extract, Chamomilla Recutita (Matricaria) Flower Extract, Urtica Dioica (Nettle) Extract, Citrus Grandis (Grapefruit) Extract, Fragrance (Natural Lemon), Citric Acid. Purified Water, Aloe Barbadensis Leaf Juice (Certified Organic Filet Of Aloe Vera), Glycerin (Vegetable), Fragrance (Natural Lavender), Hamamelis Virginiana Extract (made from Certified Organic Witch Hazel), Lavandula Angustifolia (Lavender) Flower Water, Citric Acid, Citrus Grandis (Grapefruit) Seed Extract. THAYERS® Alcohol-Free Cucumber Witch Hazel with Aloe Vera Formula Toner cooling essence has a deliciously serene effect on the body. Experience our formula for serenity now! Thayers Lavender Alcohol-Free Witch Hazel with Aloe Vera Formula Toner revitalizes the skin with a gentle, soothing formula. * Go ahead: treat yourself. Thayers Rose Petal Alcohol-Free Witch Hazel with Aloe Vera Formula Toner will make your skin bloom. * Rose Thayers remarkably soothing Toner is made with rose-petal water and our proprietary Witch Hazel extract.